Mother is reading book for her son. Asian mother with her son Reading the Book Together . 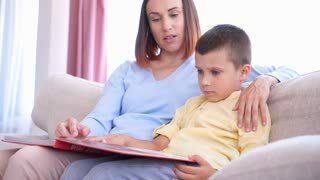 Young mother and her son are reading book.